Hotel Gran Mahakam has meeting and function rooms of all sizes on several floors of the hotel. 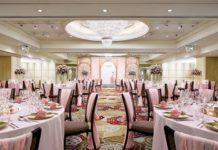 The spacious Magnolia Ballroom is the ideal venue to organize a corporate event, gala, meetings, cocktail parties, banquets or conventions, with a capacity of up to 1,200 guests. Catering to a smaller crowd of 200 guests is the Gardenia and Rafflesia Room, with flexible settings available. For more intimate professional gatherings, the hotel also offers other function rooms, including two boardrooms, one of them located beside the swimming pool for a more refreshing mingle. The availability of professional catering services and hospitality from Gran Mahakam Hotel ensures smooth sailing and pleasurable events. A winner of World Luxury Spa 2014, the SPA at Gran Mahakam Hotel is the perfect oasis for business and leisure travelers looking for relaxation, overlooking the mesmerising city view. With a tempting selection of treatments that can be customised to your specific needs, including benefits like improved circulation, relief of muscle tension, increased mobility, pain relief and stress reduction. Signature treatments such as the Mahakam Signature Massage offer a combination of Swedish, deep tissue, sports massage and other techniques. All treatment rooms at the SPA are equipped with personal steam rooms. 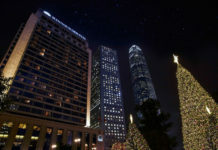 In addition to promoting wellness, the hotel established a new 45–minute treatment called Oxyluxe, which releases 100% pure oxygen in a luxurious air pressure chamber to boost the immune system, rejuvenate skin and help with sleep deprivation; a healthy and pampering solution for jetlagged travelers. Meanwhile, recharge your system at the fitness centre, the sauna or unwind in the outdoor rooftop swimming pool. Evoking the appetite, Hotel Gran Mahakam offers two outstanding restaurants Le Gran Café restaurant serving an extensive International buffet and wide variety of à la carte dishes, including Indonesian, Western, Asian and Japanese cuisines, and also Aoki Japanese restaurant, which is renowned for its traditional Japanese delicacies. 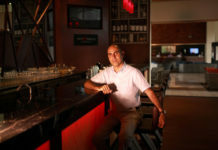 In addition, The Regal Bar & Lounge provides an assortment of light snacks, refreshments and cocktails for business or leisure travellers to indulge in. With every step, the hotel oozes a classic and regal feel, from the interior and architectural design, to the round–the–clock service. 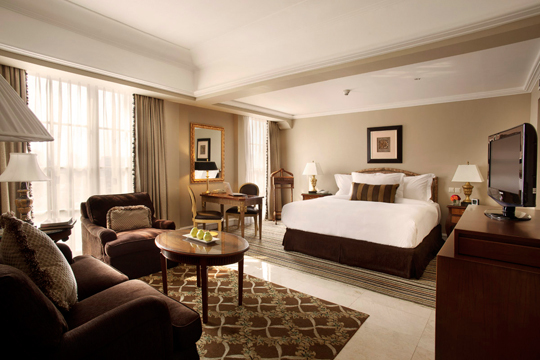 Hotel Gran Mahakam exemplifies imperial home away from home.